The in-between highway beauty will give you the enthusiasm of a new adventure. It is also bliss to ride the entire journey. 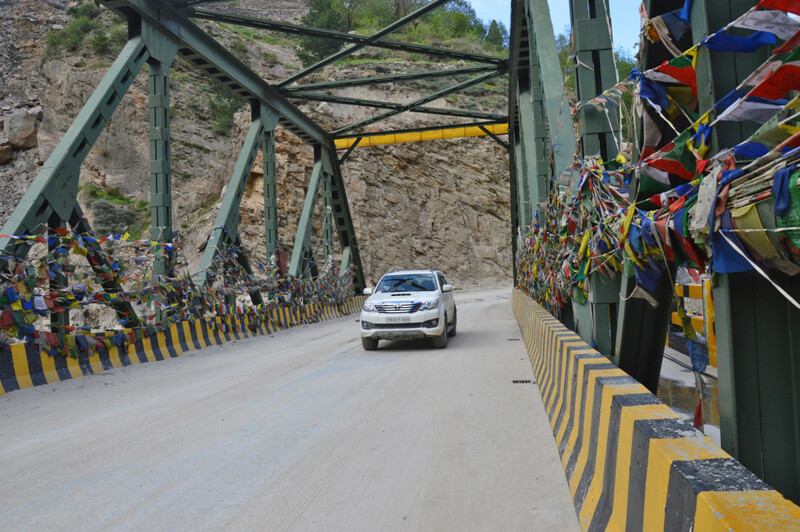 Travel by road in India and explore the scenic beauty of the place. Pack your swimsuits and sun block with some flip flops and you are ready to hit the shining sun in Goa. Leave Mumbai at an early hour to catch the sunset in Goa. You would be surprised to see how well built the roads are and also will be startled by the picturesque views. This is the road less taken, but the Old Silk Route is the old hilly road that used to connect Tibet with India. You will be shocked to see the natural beauty and history of human civilization. All these factors will make you do the trip again and again to explore India to its core. The warm breeze and clean beaches are what Diu is filled with. It is less touristy, so it is the perfect getaway for you to sit alone and enjoy some time in the summer. And the drive to the end is an experience in itself; a must visit. A major suggestion is to start early in order to avoid traffic. The trip might be short but pleasing. The voyage won’t take up much of your time. Digha’s beaches, food and its carefree lifestyle are just what you need to take a break from your daily life. The popularity of Munnar has been growing since the last few years. So, what are you waiting for? Let the wheels roll through charming roads. You will always come across the Ghat roads, but there are several petrol pumps on the way. So, not to worry about the fuel in your car or bike! Escape to the former royal retreat – Yelagiri. The small town is surrounded by hills and is a God sent for bikers. Well known for trekking, the trip is joyful and fun. But beware of rocks that fall during monsoons. This route is for the fearless. You will always remember this road trip since it is filled with heritage, culture and wildlife. Well, the 5-day tour is perfect for groups, families and couples. The roads are definitely good. Before entering Jaipur, stop for some mouth-watering Rajasthani food at local and small eateries. Waiting to take a long drive somewhere far away? Take a deep breath and start your journey to Kannur. Hyderabad to Kannur will take about 8 hours ride. So, carry your necessary items in a handy bag. You can savour some of the finest local foods along the highway. So, hit the beaches of Kannur now! Who doesn’t want to visit Kutch once? The expedition from Ahmedabad to Kutch is filled with fun experiences. And once you reach your destination, it just gets better. The infinite stretch of the white salt desert is vividly complimented with the colourful life of the people staying in Kutch and neighbouring villages. The handicrafts are worth buying. There are plenty temples you can visit. Also, the white salt desert is substance for some photography. We have just listed down some road trips to explore India. Start from this list if you desire to travel by road in India and then explore some more trips yourself!